In Porto Antico you will find an efficient information and hospitality service. Courteous and prepared staff is ready to answer all your questions and advise you on how to enjoy Genoa and Porto Antico. But if you’re in front of your PC, your tablet or your smartphone and you need information, this page is the right place to be. 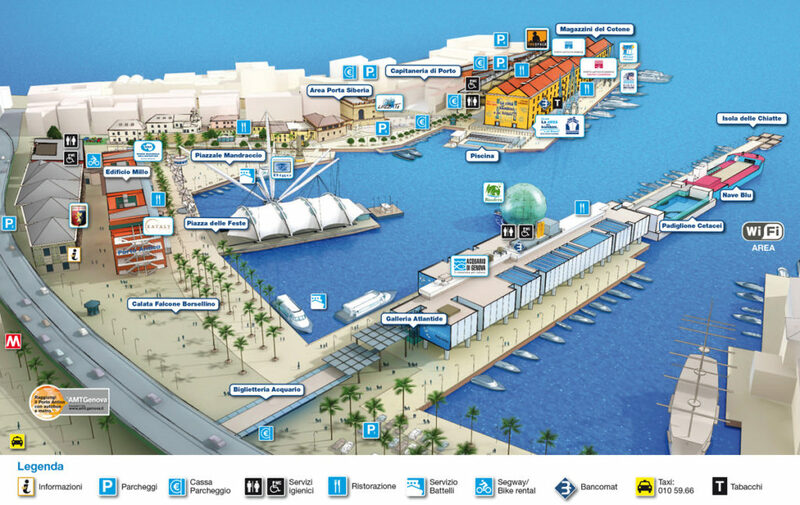 Below you will find everything you need to know to get to Genoa Porto Antico, park and move around the area. And, if you still have doubts or questions, contact us. Download the detailed pdf of the Area . Some alternative views of Porto Antico.